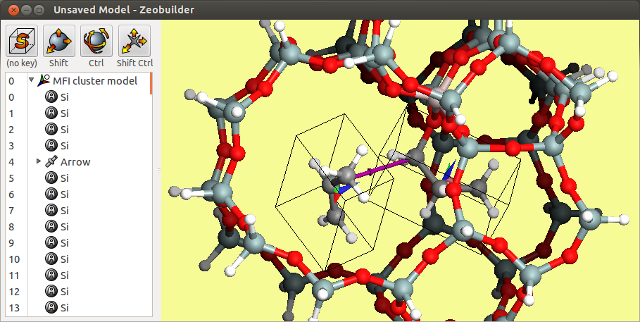 Zeobuilder is a user-friendly GUI toolkit for the construction of advanced molecular models (biological, inorganic, reactants in a catalyst, ...). The program contains several advanced tools to build, align, manipulate and analyze molecular structures. Most of its novel functionality is based on a hierarchical data-structure of reference frames to represent a molecular structure. Furthermore, Zeobuilder is extensible. The core program is compact and nearly all of the functionality is implemented through a plug-ins.